I1108 1946 - 1992 (45 years) Submit Photo / Document Has 16 ancestors and 2 descendants in this family tree. 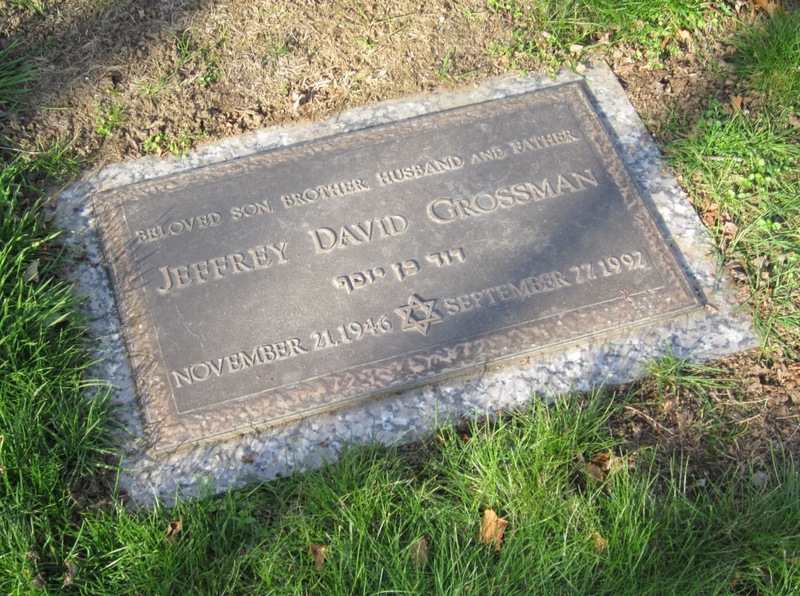 Jeff Grossman was a highly respected journalist and public relations professional who worked as a reporter for the Patriot Ledger and later served in the administrations of both Governor Michael Dukakis and Governor William Weld. He was a 1968 graduate of Boston University. Plot: Section 20, Lot 356 -- The grave is down a path that starts opposite the southwest corner of Section 25 and cuts across Section 20. It's four sections in on the left side of that path. Parents:	Mr. & Mrs. L.
Spouse Parents:	Mr. & Mrs. L.